A determination if you are a Teeth Tomorrow® candidate can only be made after a comprehensive examination and consultation where the risks and benefits of implant treatment are reviewed and all possible treatment options are evaluated. Teeth Tomorrow® Network Members are independently owned dental practices operated by individually licensed dentists that offer Teeth Tomorrow® branded products. Teeth Tomorrow® is a franchise purchased by dentists who want to offer Teeth Tomorrow® branded products and services to their patients. Teeth Tomorrow® is not a provider of dental care. Teeth Tomorrow® and its affiliates provide administrative and business support services to dental practices that are individually owned by licensed dentists. Dental services, office practices and individual patient results may vary across Teeth Tomorrow® dental practices. 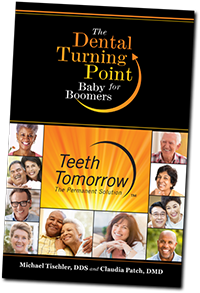 For more information about Teeth Tomorrow® branded products, visit www.teethtomorrow.com.